#262 | American Holtzkraft, Inc. 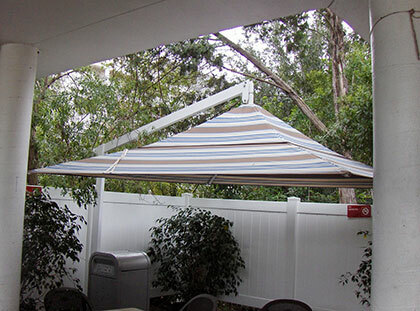 This unique design requires no center pole and has a greater clearance height – freeing up precious space. 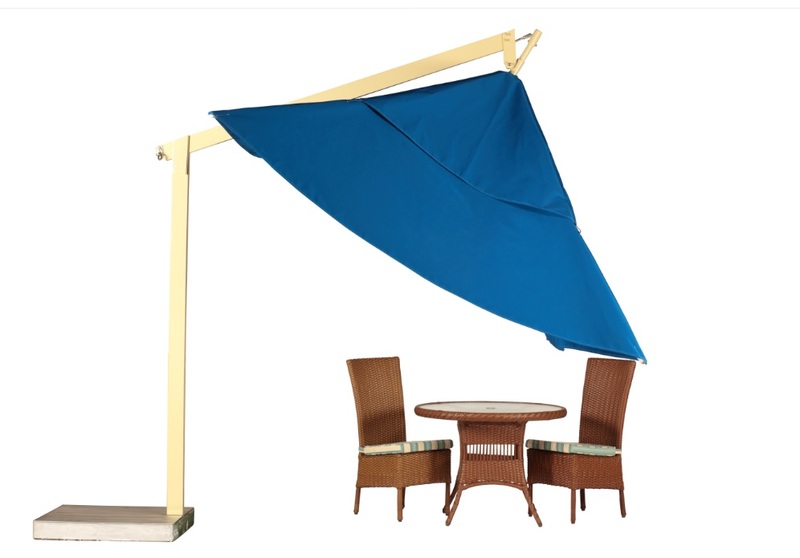 A 8′ square cantilever umbrella with 4 ribs and 2″x4″ pole. Uses standard concrete pavers as base weights. Pavers can be shipped directly from AHI. a. Automatic opening devices for ease of opening and closing. 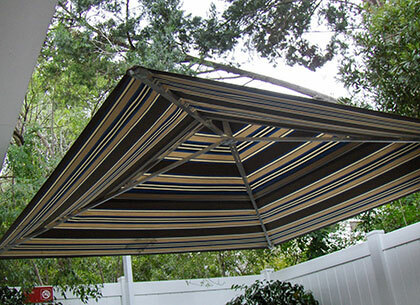 Patented and engineered by American Holtzkraft, Inc. specifications available upon request. (Includes option “d” not available with Option”b”) Patent No. 4928718.
b. 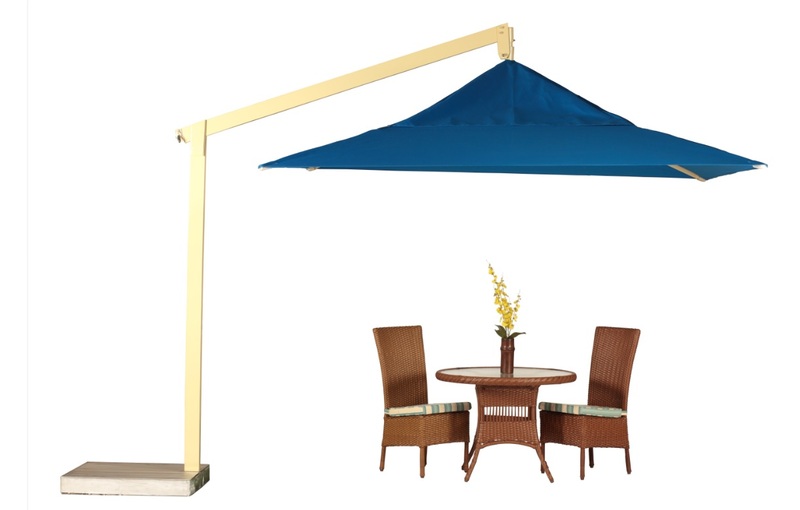 Rotating canopy to release stress from pole and hubs allowing umbrella to be left open in most weather conditions. (Includes Option “d”) Patent No. 5020557.
c. Double Vent feature invented by our company allows the air to escape the canopy in strong winds. f. Stainless steel hardware trim for Marine applications. f1. Fire retardant fabric treatment. f2. Stainless steel flush pole guard for maximum protection against swelling. 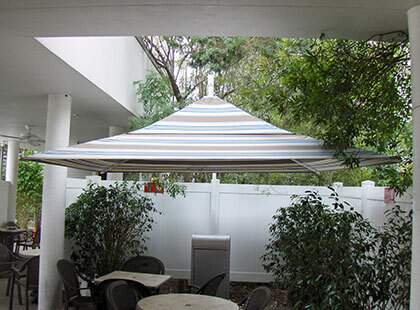 h. Pole length may be adjusted for in-ground use; flush pole guard available in various lengths. i. 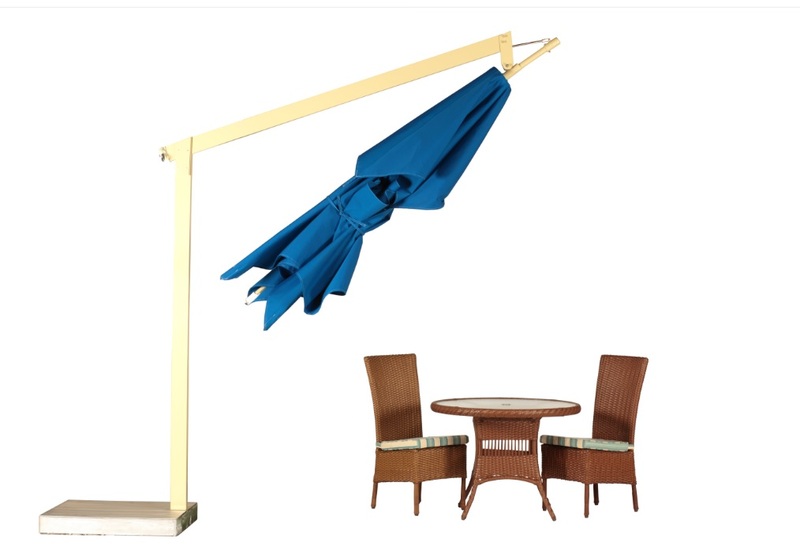 Reversed poles for hanging umbrellas. j. Wide selection of stock fabrics; custom fabric weaving and sewing; silk screening and logos. k. Flush-to-surface rib lighting and/or down lighting packages available with hidden wires.